Ohh Baker Beach, where the tourists flock and the locals let it all hang out… literally. 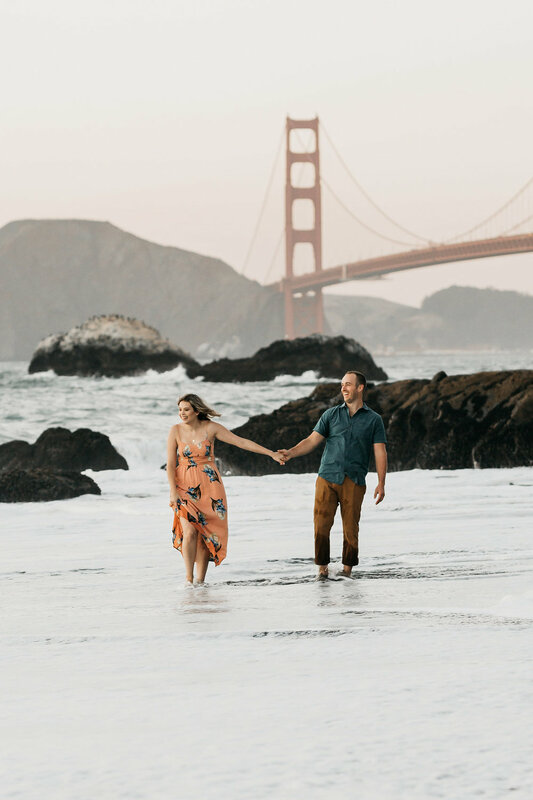 Baker Beach has one of the best views of the Golden Gate Bridge and even better sunsets, so naturally it is a great location for Beach Engagement shoots. Towards the end of the shoot, a manic (thankfully clothed) man alerted us that our shoes, phones, and most precious belongings were floating away behind us so we called it a night, topping if off with a delicious, salty beer. These two are so fun and I can’t wait to shoot their wedding at Sunols Casa Bella next July!